Sometimes it’s the little things that please you the most. Here’s a question for those of you who use a traditional safety razor: have you ever cut yourself or sliced into something else while trying to retrieve your razor from your dopp kit? Chances are pretty high that you can answer “yes” to that question. Safety razors are great – but they’re not really that safe. Great news though – the folks at WaterField Designs have created a great case to house your safety razor. Best of all, it’s leather and looks fantastic. WaterField Designs is based in San Francisco, CA. 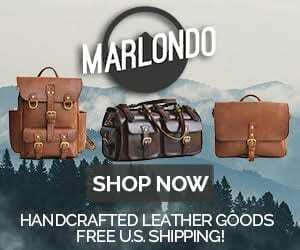 They design and manufacture all of their bags in the same location. Take a minute (actually a minute and a half) and watch the Gary WaterField discuss his company. 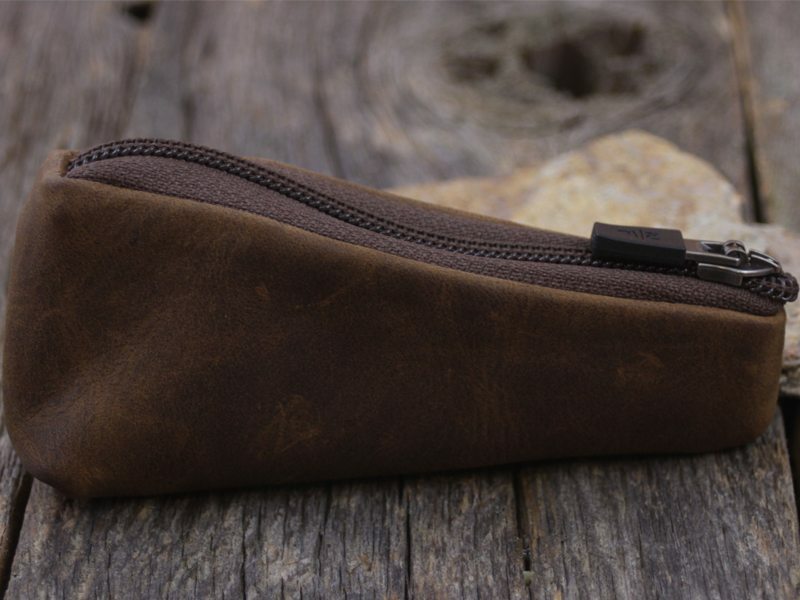 The ingenious WaterField Designs Razor Case is constructed of what they describe as “full grain grizzly brown leather”. It also features a self-locking YKK zipper with a nice sturdy pull on it. The interior is lined with a retro styled, geometric patterned, water resistant fabric liner. The seams are all tucked inside of the bag creating a nice smooth exterior look. I don’t have an iKon safety razor, which is the genesis for this case. I certainly wish I owned one of those great razors. Instead, I own a much cheaper version – but it still gets the job done. The Razor Case will easily house any conventional, classically styled safety razor. And, as a bonus, there is plenty of room to slip in a 5 pack of razor blades too. The case sits easy in your hand and isn’t bulky. The zipper is easy to manipulate and locks into place, which is a nice feature and will keep your razor safely tucked inside. The full grain grizzly leather looks and feels great. The interior lining is smooth and looks fantastic. I wish that the zipper didn’t have a plastic coated pull. The plastic pull seems out of place on this item. My opinion is that the case would look much better with a metal zipper and a brass or nickel zipper pull. I think that would set it off nicely. Perhaps they’ll create a couple more versions with those components to match up better with your choice of razor. In spite of that minor shortcoming, I think the case looks really nice. The one thing that always concerns me when I travel with my safety razor is reaching in to my dopp kit and getting sliced by it. Yes, I know that I can remove the blade – but I don’t always remember to do it. This little case solves that safety issue and houses my razor in some awesome looking leather. How great is that? The $30 price point for the WaterField Designs Razor Case is completely acceptable due to the solid construction, unique lining, and uniqueness. I look forward to using this little case on many, many trips.